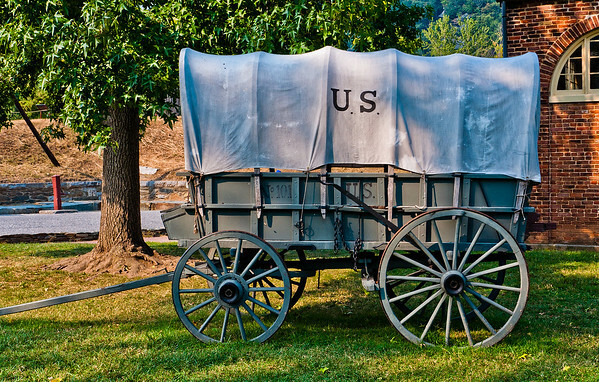 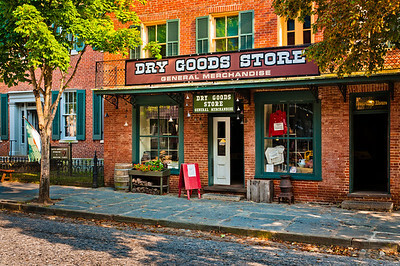 Dry Goods Store, Harpers Ferry, WVA. 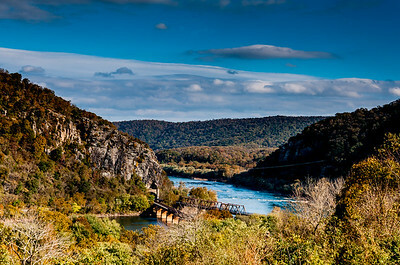 Here is a photo of Maryland Heights and the railroad bridges taken from the abandoned hotel site in the upper town of Harpers Ferry. 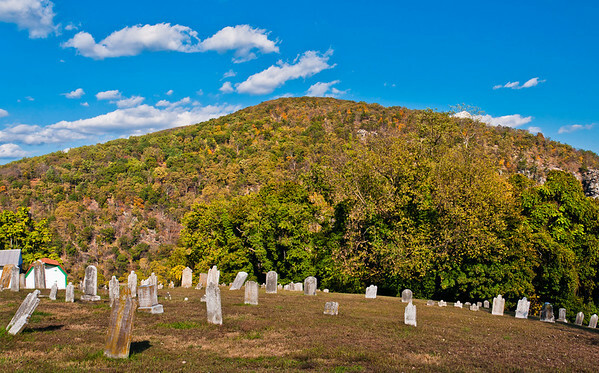 The rose bushes add a touch of color to the beautiful sky and early fall colors of the trees. 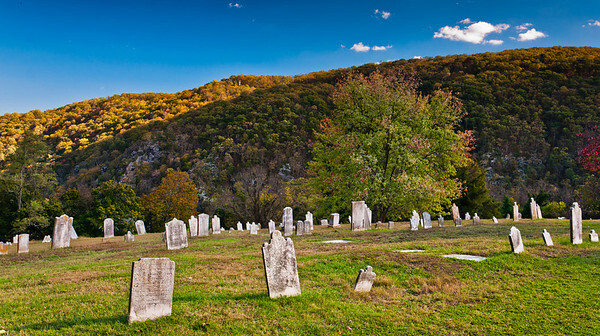 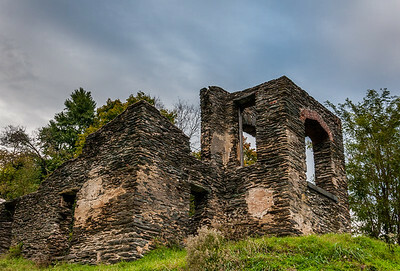 Here is a photo of the ruins of St. John's Episcopal Church in Harpers Ferry, West Virginia. 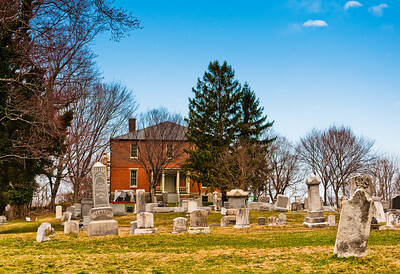 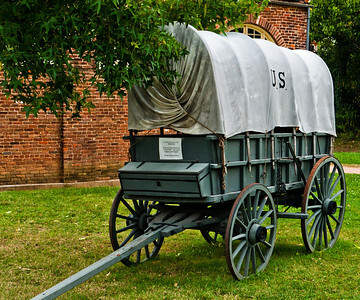 This church served as a civil war hospital. 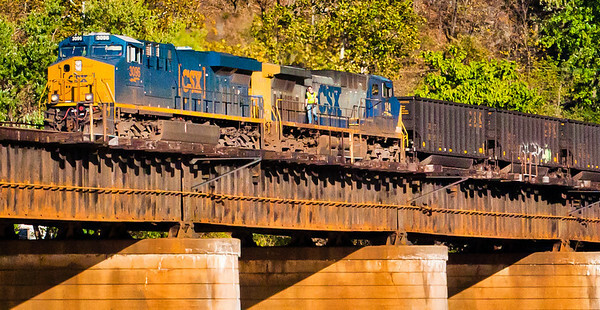 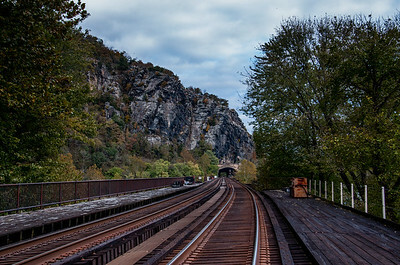 Here is a photo of the train bridges and tunnel at Harpers Ferry West Virginia. 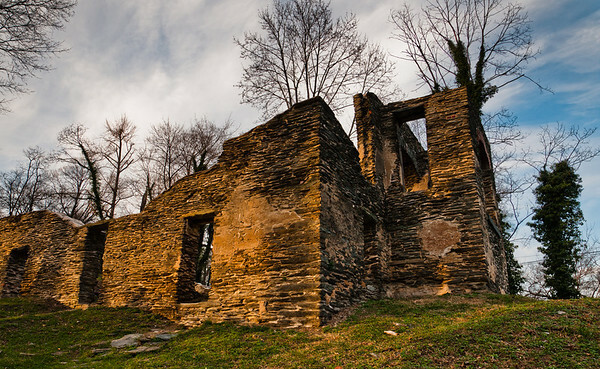 This photo was taken from the site of the abandoned hotel in the upper town. 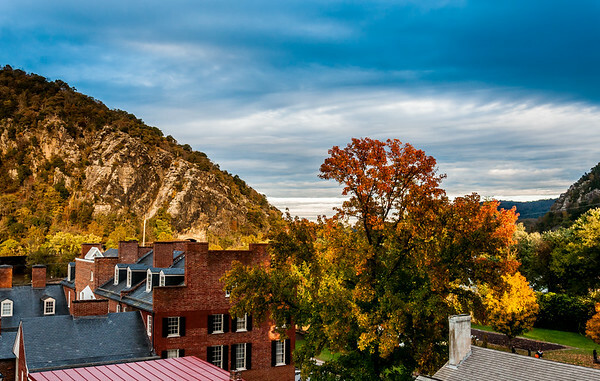 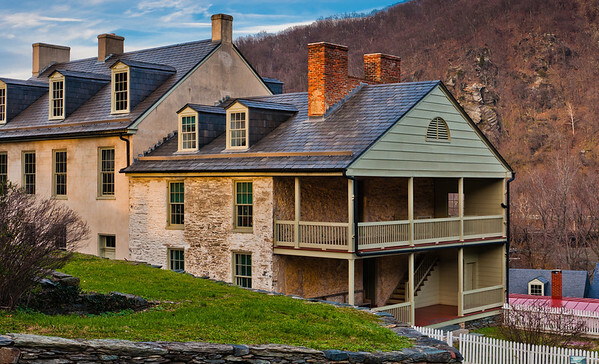 View of Maryland Heights and lower town, Harpers Ferry, West Virginia. 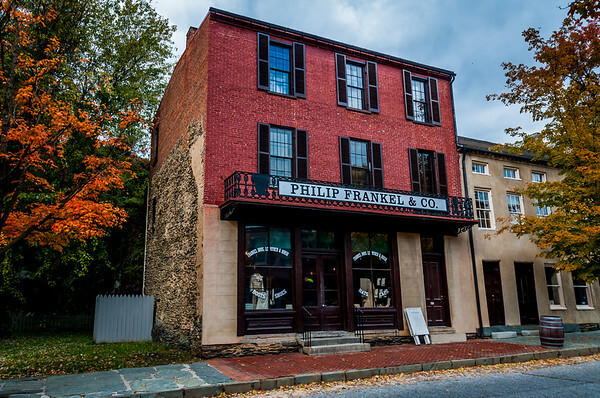 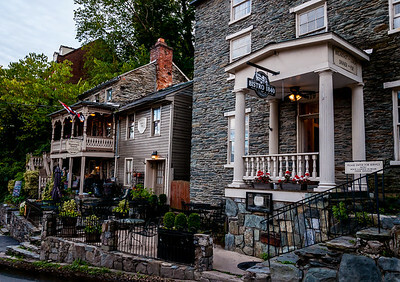 Here is a photo taken in late afternoon of several restaurants along Washington Street in Harpers Ferry, West Virginia. 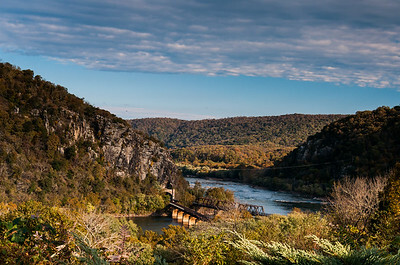 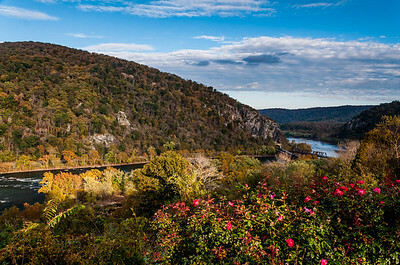 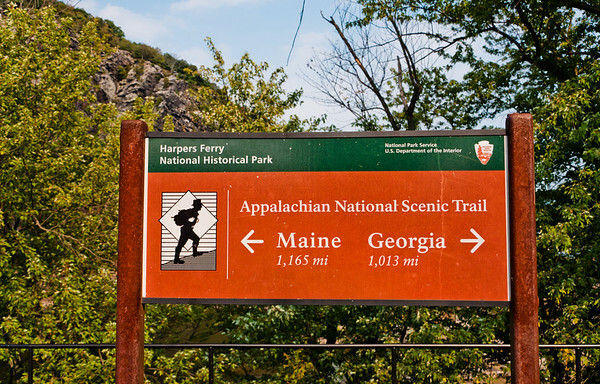 Here is a view of Maryland Heights and the train tunnel at Harpers Ferry, West Virginia. 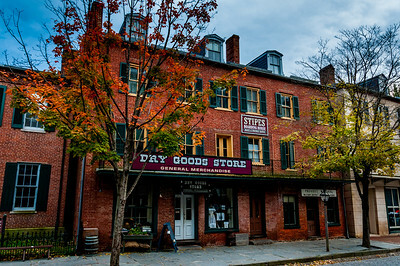 Photo taken on a beautiful fall day 2018.